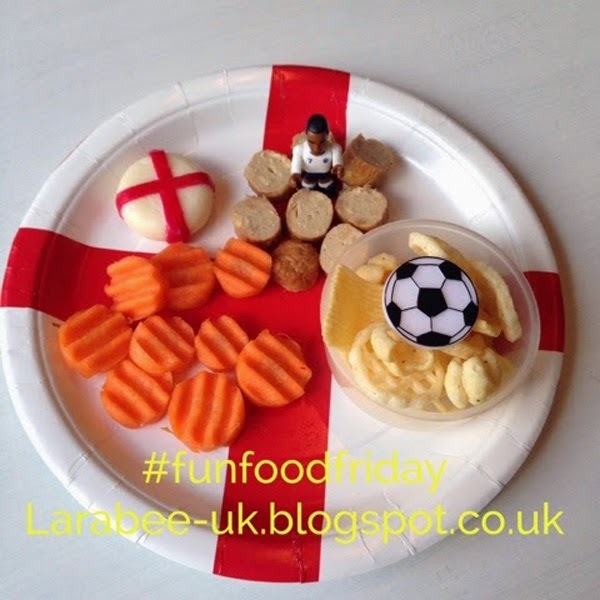 Another little football lunch this week - this time to celebrate England's participation in the world cup. To try and do something different with the carrots, I cut them using a crinkle cutter, something that I've probably had for 20 years and never used!!! I added a football cupcake ring to some crisps. which I purchased from an ebay store. Looks like a fun lunch! I don't use my crinkle cutter very much. I need to use it more. Thanks so much, I must admit I had forgotten I had it, I found a vegetable spiraler so going to think of how I can use that now! Hope you do get to use your crinkle cutter! Another lovely and fun lunch! Shame about the game last night, I've gone off football for another 4 years, ha ha!